Eric Franklin, a dancer, choreographer and teacher who has long practiced and taught imagery to his dance students, now brings this remarkable method to pain relief. So many of us suffer from pain and stiffness resulting from neck and shoulder tension. Eric Franklin, a dancer, choreographer and teacher who has long practiced and taught imagery to his dance students, now brings this remarkable method to pain relief. 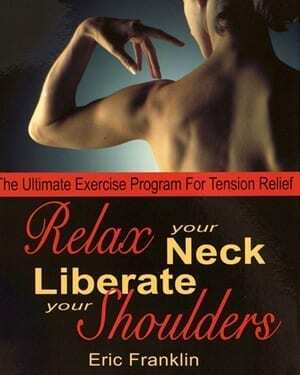 Part one of the book presents a series of foolproof methods to eliminate shoulder tension. Learn how to detect and eradicate early signs of tension. Understand the connection between emotional states and tension. Survive stressful situations calmly and without tensing a muscle. Discover the source of pain and eliminate it forever. Part two explains the anatomy of the shoulder girdle in an entertaining and lively way. The most important joints and muscles of the shoulder and neck are addressed individually and exercises show how to increase awareness of their correct functioning. This allows the reader to improve posture, create a healthy body image and use visualization more effectively. Improving the alignment of the head, neck and shoulders will ease the strain on muscles and promote an aura of confidence and health. Part three contains exercises done with a partner using imagery and touch-as well as those you can do at the workplace to feel creative and limber through the day. Exercises using Thera-Bands and balls will enable readers to adjust training needs to their schedules.